Everybody loves talking about the importance of dynamic content in marketing, but what do you actually need to do to get started? At this month’s Email Innovations Summit, featured speaker Anita Taylor, Sr. Product Marketing Manager at Stack Overflow, explained how her organization dealt with the complexity of dynamic content. Stack Overflow is the world’s largest online community of software developers. It’s the place where programmers come to learn, share and build their careers. 50 million monthly visitors rely on its resources, and 85 percent of developers return several times per week. 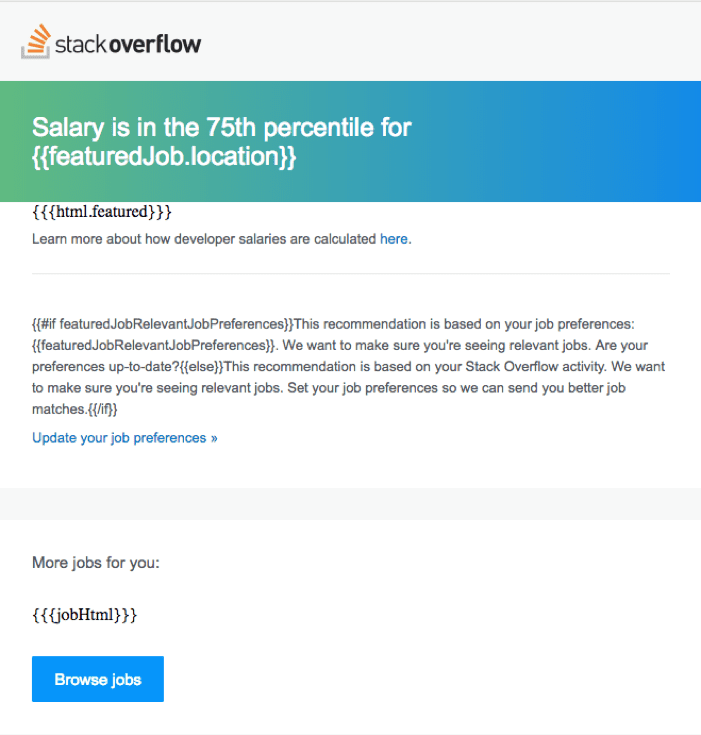 Stack Overflow generates revenue through its popular job board, which recommends open positions to developers based on their location, salary requirements, technical experience and other variables. With such an advanced recommendation engine, the marketing team needed to bring the same level of sophistication to their email program. Their primary challenge was translating the personalized web experience into dynamic emails to show the right job to the right user at the right time. Here are the three building blocks they used to create stellar dynamic content. Personalizing each campaign to the individual subscriber involves three major building blocks of dynamic content: data, templates and workflows. Let’s deconstruct each one to demonstrate how to optimize your next campaign. Data. Bloating user profiles in your CRM with too many fields is a common yet avoidable challenge for marketers. 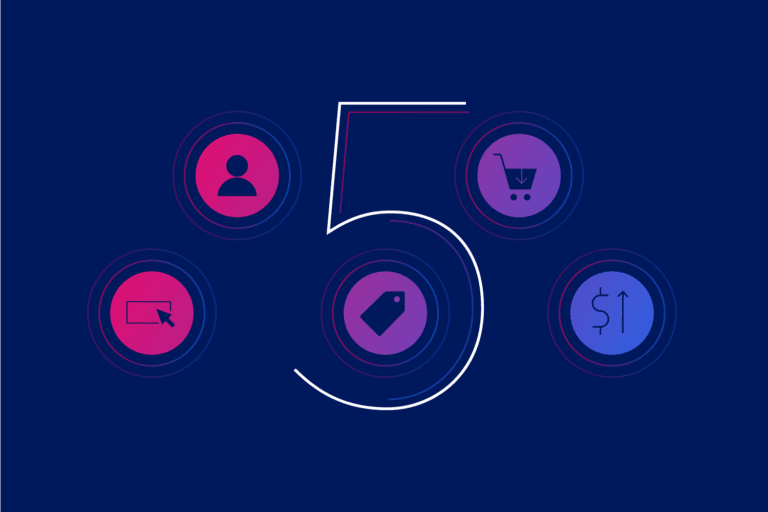 Rather than store every single data point as a user record, you can trigger custom events to occur each time someone applies for a job, abandons a shopping cart or makes a purchase. You can also use API calls to access valuable metadata: Stack Overflow stores information about every job, such as its salary and benefits, and only pulls that metadata when needed. 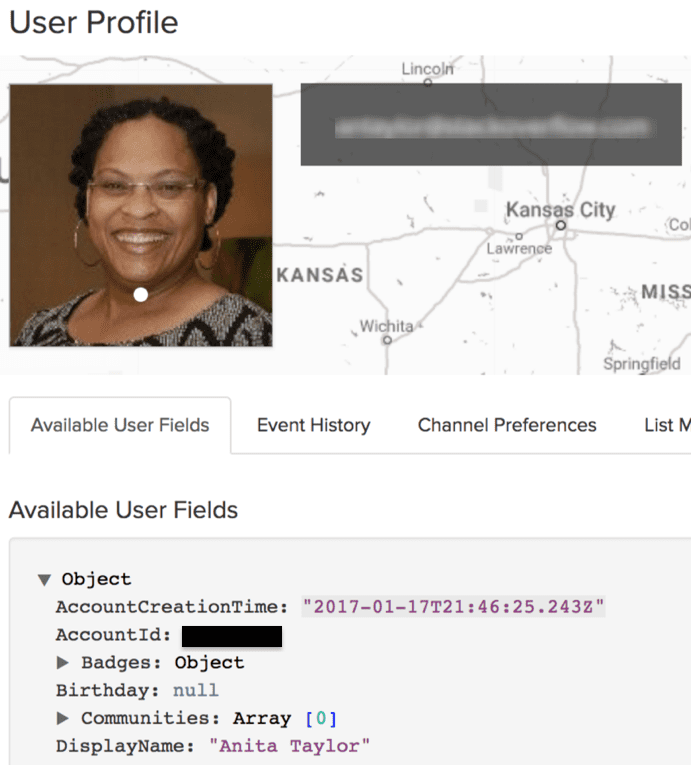 User fields are powerful for demographic personalization but custom events record real-time behavior. Templates. If data is the “what” of dynamic content, then templates are the “how” to incorporate it. Stack Overflow uses handlebars logic in Iterable to display personalized job information—no extensive lines of code required. Stack Overflow features relevant jobs with Iterable’s handlebars logic inside their email templates. Workflows. By creating custom events and developing dynamic templates, marketers are now ready to automate messaging with workflows. 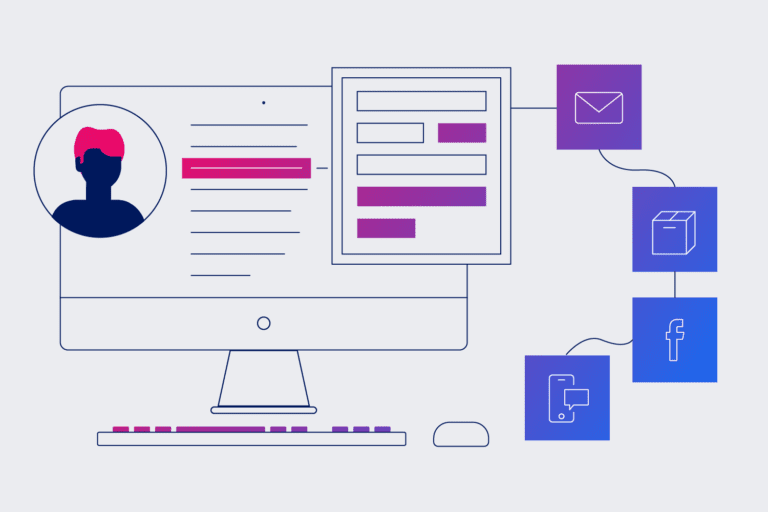 Iterable’s Workflow Studio makes it easy to trigger and schedule messages across marketing channels, including email, direct mail, mobile, web and social. 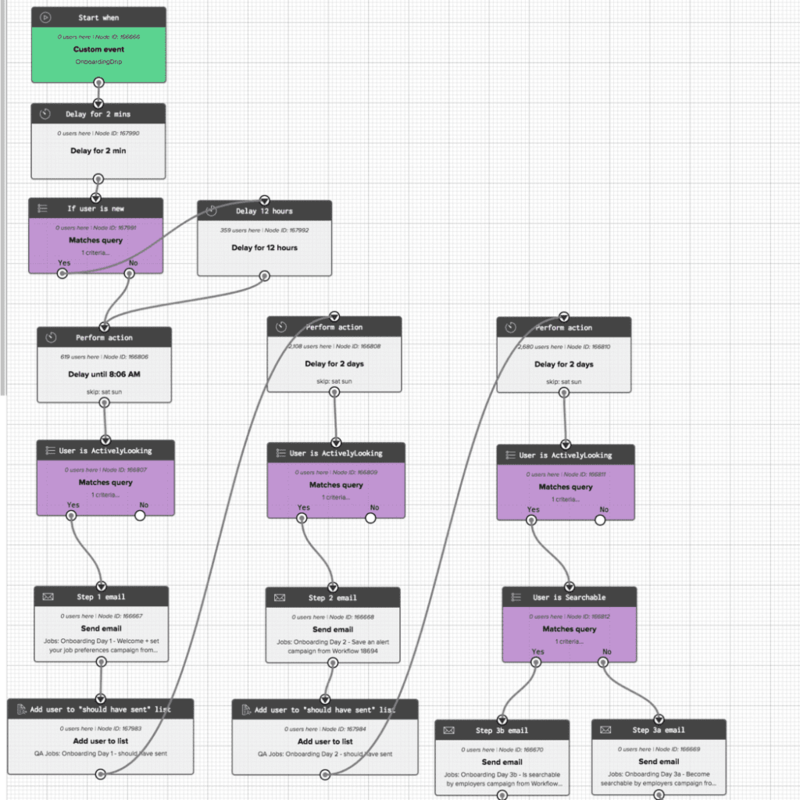 Stack Overflow automates user onboarding with Iterable’s Workflow Studio. After implementing Iterable, Stack Overflow was able to develop a robust series of dynamic email campaigns. The results? 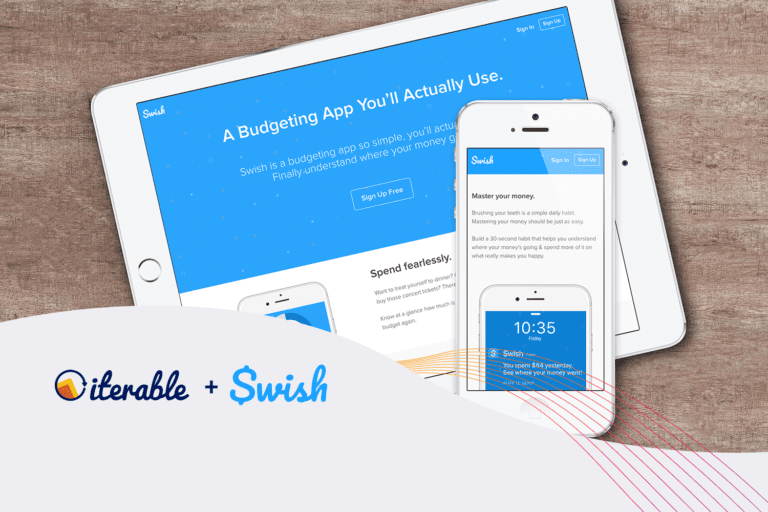 Their new personalized onboarding series achieved an outstanding 100% increase in job applications. In addition, their best-performing email received a 69% open rate and 22% CTR. Even the subject line of that email is dynamic: “Job title, company, salary.” Simple, yet massively effective at engaging their subscribers. Whether you’re just getting started with dynamic content or looking to take your personalized campaigns to the next level, contact us to learn how Iterable uses these three building blocks to set your business up for success.